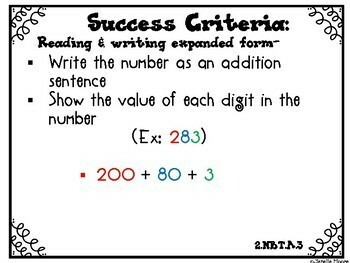 Learning targets are an amazing way to help your students take ownership in their own learning process. But then what? 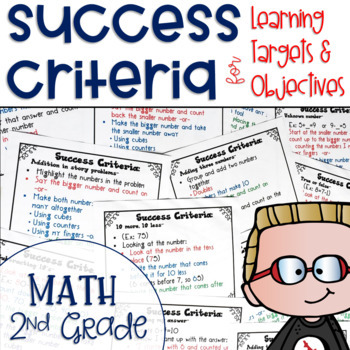 Show your students exactly HOW they will be successful at meeting their daily, weekly or unit long objectives. 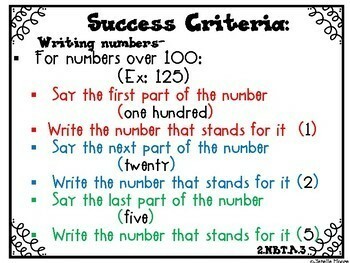 Each of these ready to go success criteria are aligned to the Math Common Core State Standards for second grade. 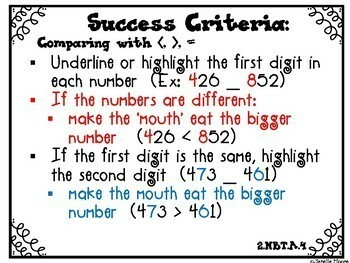 They explicitly tell and/or show your students different ways to be successful in meeting their learning targets. They come in both color and black and white, so you can choose what works best for you. They help your students understand each step in the process of meeting the specific standard they are working on.